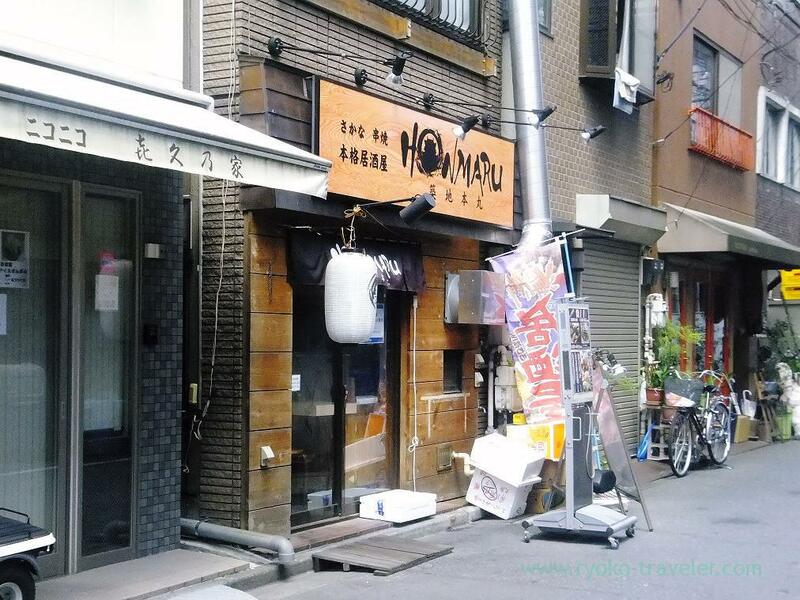 Recently, I’m searching for new lunch places near my office. That time, I went to the shop. They serve deep fried foods mainly at lunchtime and they keep cooking deep fried foods at the kitchen in front of us. So, I felt very hot. I decided to order deep fried prawns set (大エビフライ定食) in advance. They only serve 7 sets of that. 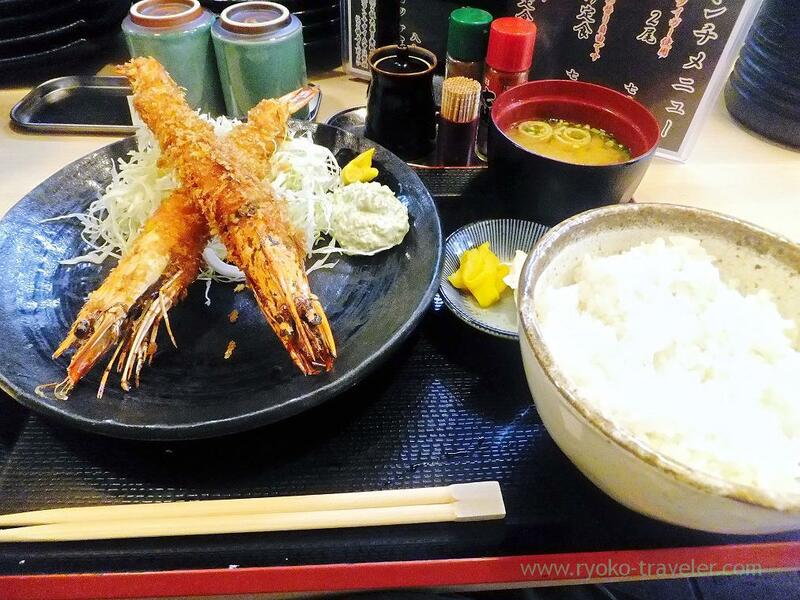 It have two large black tiger prawns and it cost us 700 yen. Those two prawns were large and enough for me. I ate whole them from heads to tails. 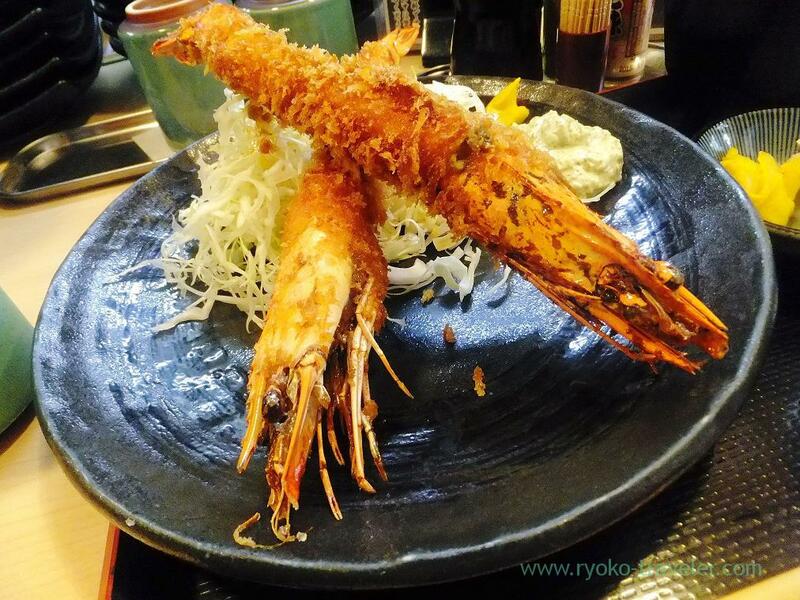 They serve only 7 deep fried prawns set, so it is usually sold out very quickly. But that day, there were few visitors who ordered deep fried foods because it was very hot day. Many of visitors ordered sashimi and fried chicken with vinegar and tartar sauce that is called “chicken nanban”.